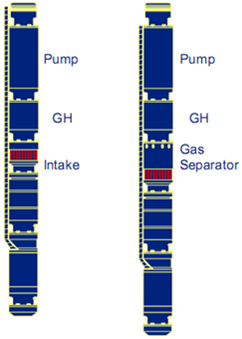 As shown in the graph above, the GH can be used with a standard intake or with a gas separator. 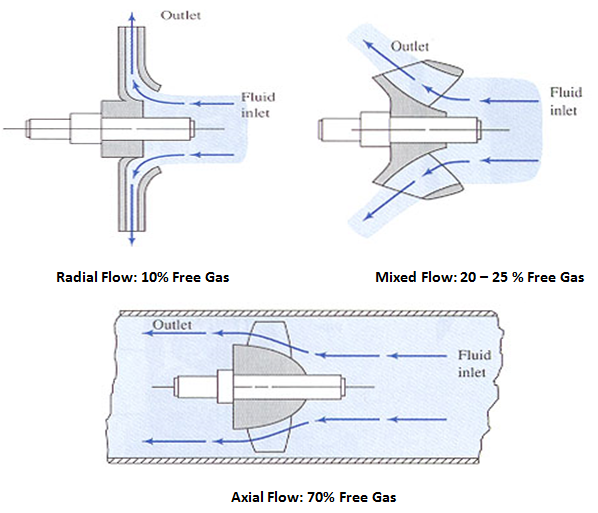 The choice will depend on how much free gas will be present at the intake for producing condition and on whether there is a packer preventing gas production up the annulus. Tagged artificial lift, axial flow, baker hughes, BOI, bolt on intake, compression pump, dynamic gas separator, electrical submersible pump, energy, floater pump, Gas handling device, gas separator, General Electric, impeller types, Integral, ISO standards, mixed flow, Mixed flow impeller, oil and gas, Petroleum engineering, production engineer, production optimization, production surveillance, production technologist, pump, pump shimming, radial flow, radial impeller, Reverse Flow, schlumberger, Standard Intakes, Static Gas Separators, vortex. Bookmark the permalink.